The Oxford Dictionary has announced its 'Word of the Year' and it is none other than 'Youthquake', but there's a catch as lots of people are not entirely sure what the term means. The word saw a 400 percent increase in usage between 2016 and 2017. The editors at the Oxford Dictionaries referred the word to the rallying of young people by Jeremy Corbyn's Labour Party during the 2017 General Election. While writing about the word, Grathwohl said in a blog post, "Many of you may even be scratching your heads." And quite understandably, the selection was met with some puzzlement on Twitter. A user wrote, "The Dictionary people: the word of 2017 is #youthquake! Everyone else:." "If I had a pound for every time I'd used the word #youthquake this year I'd be penniless. Is this a hoax thought up at the Oxford dictionaries Christmas party?" wrote another user. 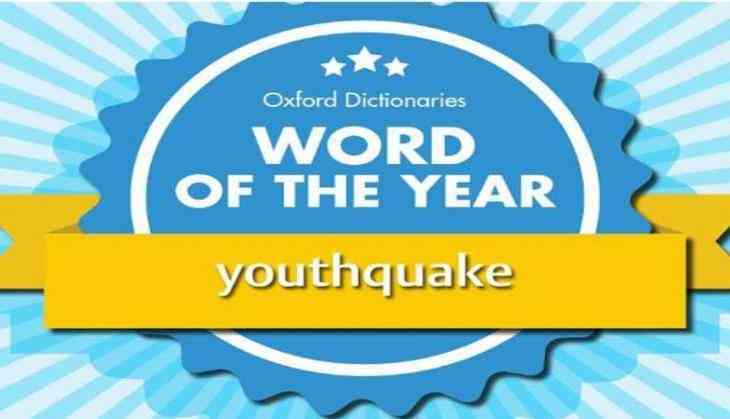 Another user wrote, "Just read that Oxford dictionaries named #Youthquake as their word of the year for 2017. "I read a large selection of news every day for my job. Number of times I've read Youthquake. Once. Today.I think word of the year should be #The. It's still largely ignored but popular," tweeted another user. "Honestly, wtf is a #youthquake though? Someone's cringe dad is absolutely buzzing that the embarrassing word he made up has caught on," wrote one user. While some mocked the winning word, others pointed out that "youthquake" was the title of a 1985 album from British pop group 'Dead or Alive'. This is not the first time Oxford has chose such a unique word as its 'Word of the Year'. In 2015, Oxford sparked controversy after selecting "pictograph." Many were confused that the word of the year was not a word but an emoji - the face with tears of joy.